So when I saw these dresses, I knew that I’d have to share them with you to at least remove some of the temptation to want them. Or at least pass it on to you guys. I’m nice like that. The first dress is a Diane von Furstenberg wrap dress, with beaded sleeves. I love the pleating all over, and a wrap dress is always flattering. I have a bit of a soft spot for Jean Paul Gaultier after first seeing him on Eurotrash (I know, I know. Even weirder when you realise that my Mum used to watch it with us. AWKWARD). 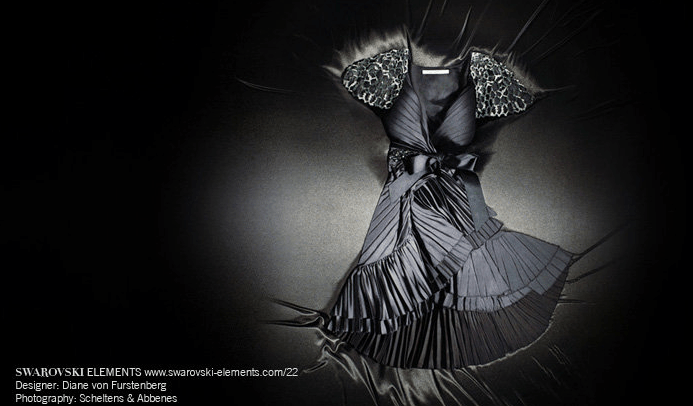 His cocktail dress design uses the Swarovski crystals to highlight the neckline straps. 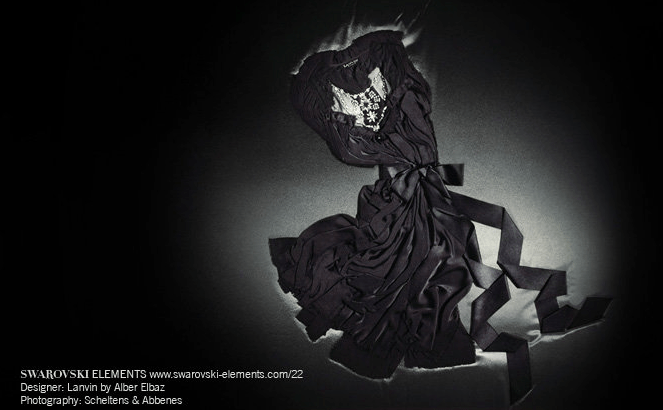 The Lanvin by Alber Elbaz dress uses the Swarovski crystals as a trompe lÃ¢â‚¬â„¢oeil necklace suspended over the chest. Cute! 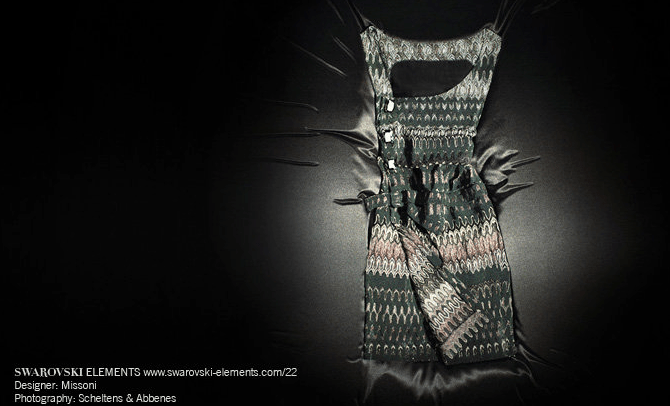 Missoni‘s dress is in their usual style print, but with large stones on one side, and apparently layers of “crystal fabric” (I’m not exactly sure what that is but sounds good! Edit: According to Fashionista.com, over $100,000 was raised for the two charities.